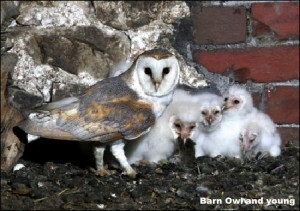 This week’s blog and gallery are devoted entirely to the amazing pair of Barn Owls that this year laid six eggs on the ground in a barn, as there was nowhere else in the barn to nest. I was granted a licence by Natural England to film this unique event and spent three weeks recording on camera the young as they were fed and continued to grow, although always vulnerable to predation. This exceptional breeding event was triggered off by last Winter’s mild weather and an explosion of voles and mice this year and has resulted in many pairs of Barn Owls rearing second broods , as is the case with this pair who now have another six young but this time not on the ground. Enjoy the photos, I did while I was taking them. Click here. It is always worthwhile visiting Morecambe Bay in August to film the vast numbers of wading birds and butterflies that have all benefitted from this Summer’s good weather. 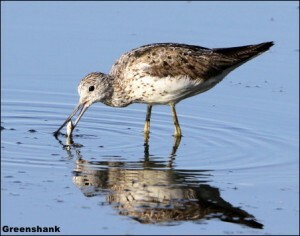 On the coast good numbers of Greenshank were present including one that had mastered the art of catching fish. Black Tailed Godwits were in good numbers with some still in breeding plumage as was a single Knot. In the limestone areas around Silverdale were plenty of butterflies including the English rarity Scotch Argus. The woodlands were echoing to the calls of Green Woodpeckers many of which were anting on the ground. 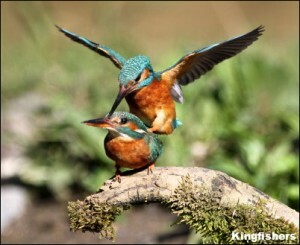 On our local canal the first Kingfishers were present this week with two sightings. On the downside were the two hundred Canada Geese in only a two hundred yards stretch of canal! One of the most elusive and mysterious of all our Summer visitors is the Nightjar. In medieval times because of its crepuscular and nocturnal nature and its habits of feeding around goats (because they disturb flying insects on which it feeds) it acquired the name of Goatsucker. This name was further enforced by its enormous mouth and pink fleshy lining, the result of drinking goat’s milk! Today we are more enlightened but none the less it remains a bird of mystery. With the approach of the 12th these Red Grouse had better keep their head’s down if they want to survive to next years breeding season. 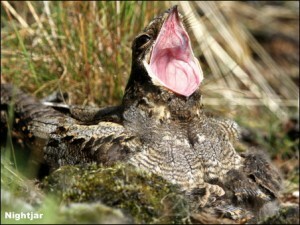 Along with most other birds this year Red Grouse have had their most successful breeding season for decades. 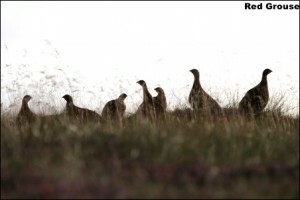 The purple heather is now full of family parties of grouse many of them comprising of more than a dozen birds. While I was up on the moors this week I came across a late pair of breeding Short Eared Owls. They were visibly feeding at least two young that were well able to fly. In another valley a Tawny Owl was actively hunting for prey at noon. Normally this exceptional behaviour is only seen in the depth of Winter when there is little prey available. There is plenty of prey this year so I can only think that this pair of Tawny Owls have so many young to feed that they are forced to hunt during the day also. I am already aware that one pair of Tawny Owls this year have fledged five young which is totally exceptional. The sad event of the week has been the putting to sleep of our thirteen year old golden retriever Robbie. He has been to Islay more than fifty times but never quite mastered the technique of finding a sitting Woodcock. However , one day on Jura whilst we were sat in the car looking for Otters he barked, something he rarely did, and upon checking we found he was watching a female Otter and two young that we had not seen! !